Gangtok, January 17: After the Supreme Court coming down strongly on the Meghalaya government on the issue of rampant illegal mining of coal, the Meghalaya government implemented the order with immediate effect. The decision came into effect after the plight of 15 miners trapped inside an illegal coal mine in Meghalaya’s East Jaintia Hills came into the highlight. Addressing the plight of the 15 miners trapped in the mine hole, the SC also the state government to file an affidavit on what it was doing to curb illegal mining. The Chief Secretary Y Tshering issued the orders to the authorities to ensure compliance of the directions implied by the apex court without fail. 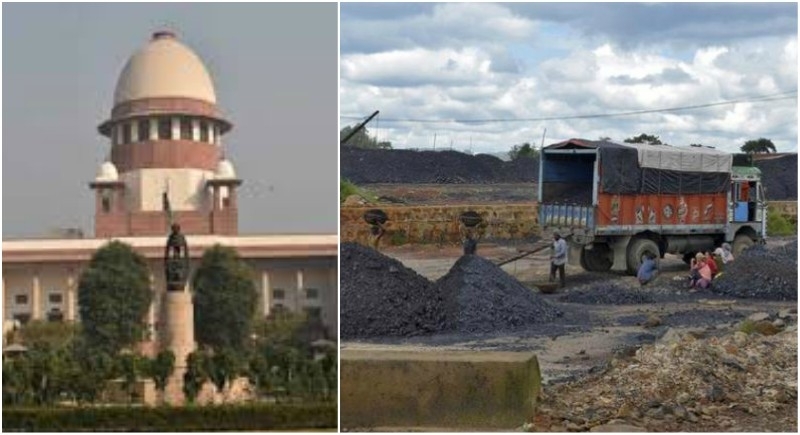 The Supreme Court refused to grant additional time to mine owners to transport the coal that had already been extracted. The National Green Tribunal (NGT) had imposed a blanket ban on irrational and unsafe mining of coal in Meghalaya in 2014. The state government had earlier told the court that the coal being transported had been extracted before the NGT ban. Around 15 miners are trapped inside an illegal coal mine in Meghalaya’s East Jaintia Hills since the last one month. They have been trapped after flood waters from the Lytein River gushed into the 370-feet deep rat-hole mine. The top court is also hearing a plea seeking immediate steps by the Centre and the state government to rescue them. The petition had sought a direction to the Centre and other authorities to prepare a standard operating procedure (SOP) for rescue operations in mining accidents.